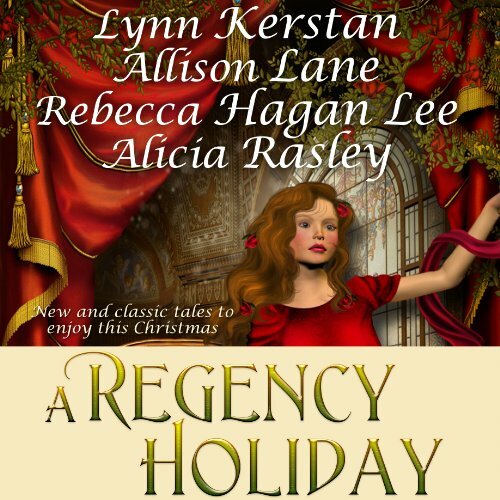 FOUR Favorite Regency Authors THREE never-before-in-print Christmas novellas ONE beloved classic now back in print . . . and a partridge in a pear tree . . . In the never-in-print "Star of Wonder", Lynn Kerstan brings her special brand of magic to the page when an exotic and dangerous stranger arrives to disrupt the meager Christmas of Stella Bryar, who has struggled to support the family retainers in the wake of her father's death. Allison Lane's newest Christmas treat is "A Christmas Homecoming". When prodigal son Alex Northcote returns from a six year absence to take control of the family estate, he must run a gauntlet of possible brides, who have all been installed for a holiday house party by his determined grandmother. Avoiding the trap would have been so much easier, if the guest list hadn't included a quiet widow, who once jilted him for another. In the classic "Home for Christmas", Alicia Rasley gives us a Christmas with a bit of intrigue. When Verity receives an unexpected invitation from her estranged father to spend the holidays at his Cornwall estate, she accepts with delight. But, ever mindful of her father's attention to propriety, she must scramble to find a husband and father for her fatherless child. Could a handsome and enigmatic stranger solve all her problems? The director needs to listen to this. The errors are too many. Not up to S. Z's standard at all. Would you be willing to try another one of Stevie Zimmerman’s performances?